We understand the importance of memories. 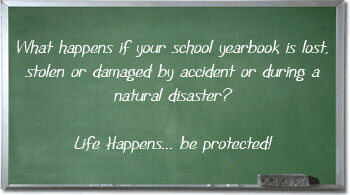 However, history has all too often proven that life is full of accidents and disasters, which can result in the devastating loss of a priceless photo-album or even a paper yearbook. Since our electronic yearbooks are in a digital format and because we maintain an archive of all productions, obtaining a replacement eYearbook or additional copies is quick and easy.